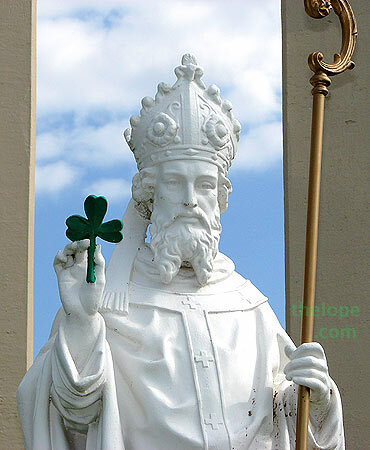 Finally, St Patrick gets his due. 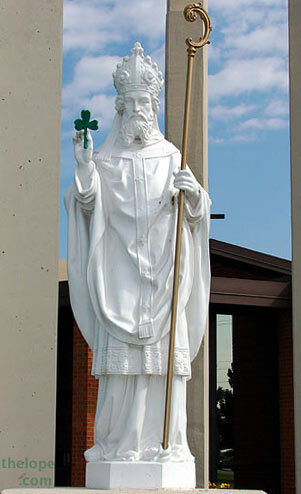 I ran across an actual public statue of St Patrick. I mean, the man has been a celebrity since the fourth century, has a holiday named after him, and yet the imagery we see associated with his day is largely oriented around leprechauns - little creatures that practice magic...which I believe would make them pagan. And it's greed-oriented magic at that. I doubt good St Patrick would approve. 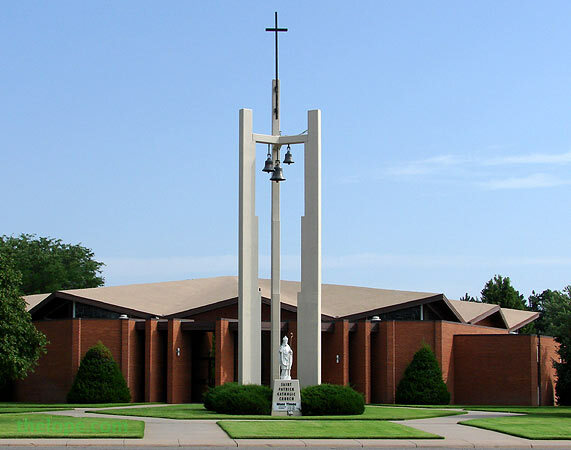 This statue is in front of Prince of Peace Catholic Church in Great Bend, Kansas. 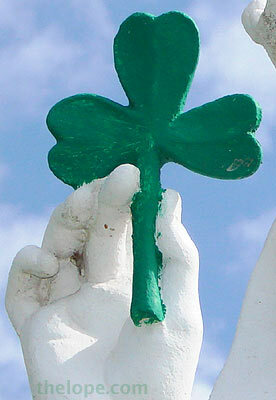 I read on it's diocese website that the church is nicknamed "St Patrick." The day I was there in July of 2008, the lawn was worthy of the Emerald Isle, by any standard of green. I like the roof line of the church, too. Read a bit about the historical personage of St Patrick, along with some pure Blarney thrown in by me, in Things Irish and Then Some.